Since young, my mum has taught me about the importance of sunscreen/sunblock in my daily skin care routine by constantly nagging at me to apply them after washing up in the morning. Unsurprisingly, I didn’t really heed her advice until I spotted some freckles on my undereye when I was in secondary school.. It was too late! From then on, I head to my mum’s vanity to apply her sunscreen and have been religiously doing it ever since. 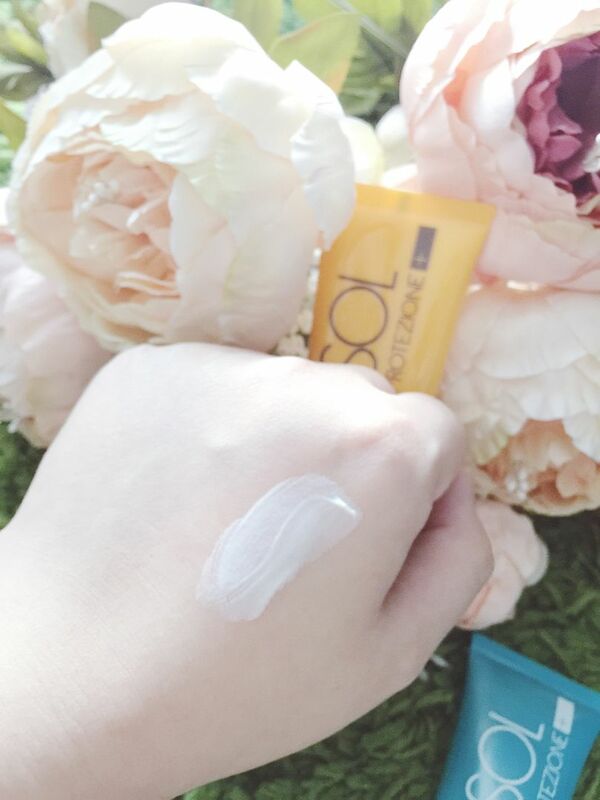 Even when I’m at home, I never fail to apply sunscreen or any bb cushion that has at least SPF 50; especially in the Singapore’s climate, sunscreen is a must be it rain or shine. I can’t emphasize enough how important it is to protect the skin and block out harmful UV damage with sunscreen and Bottega Verde’s latest innovation does just that! 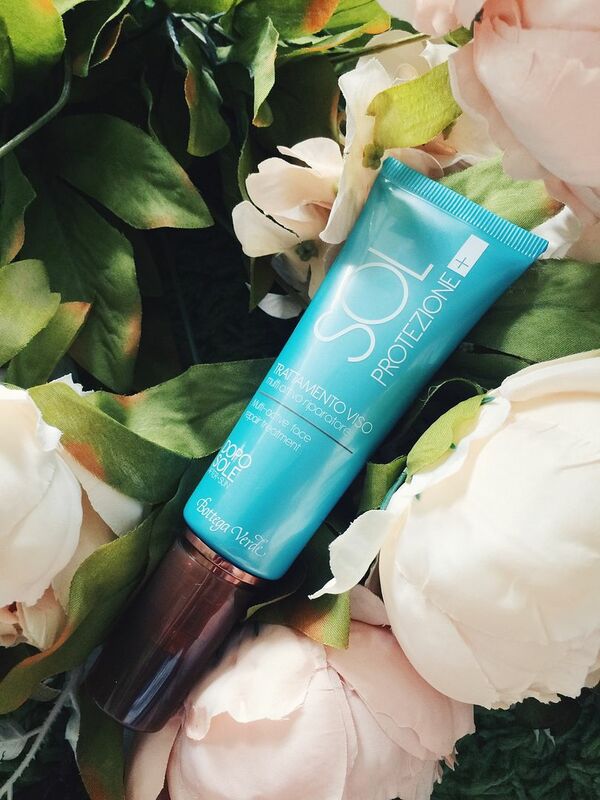 It not only ensures long lasting sun protection, but is also specially formulated and designed to protect, prevent and repair sun damage for hours after exposure. Most people think that they’ve got their sun protection all sorted once they’ve slathered them on before leaving home, but new scientific studies shows that UV damage in the skin is induced by sun exposure continues even after the sun sets as the absorbed UV rays continue their action under the skin. 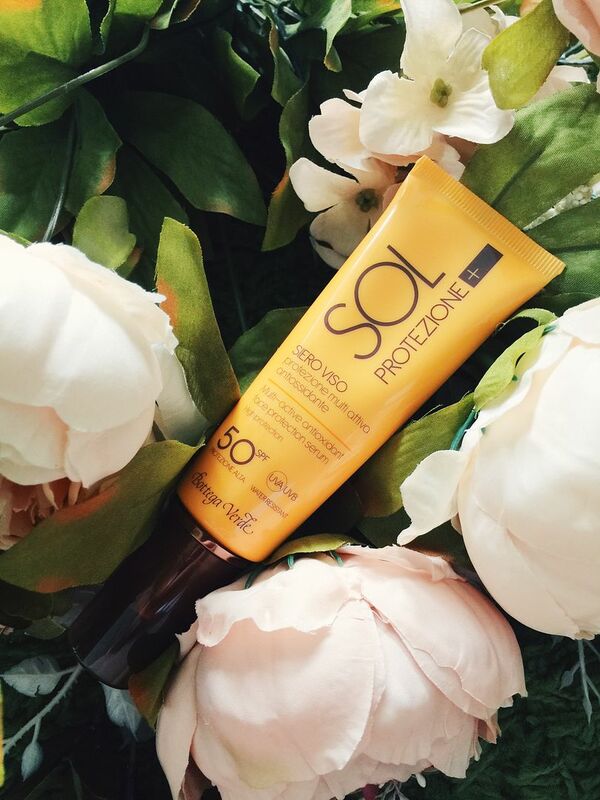 The newly launched SOL PROTEZIONE+ line covers all grounds, consisting of products to protect the skin before and after sun exposure. It combines the protective action of sunscreen with the soothing properties of after-sun care. The light-textured formula shields the skin against radical damage and maintains its protective action when followed up with the ingenious after-sun lotions. You’ll noticed that there’s two main botantical ingredients in the range: (1) Calabrian Liquorice that is famous for its powerful anti-inflammatory and anti-oxidant properties while suppressing ultraviolet-induced pigmentation to diminish imperfections and brightening one’s skin. (2) Luminflower (Sunflower Extracts) that absorb UV rays and turn them into light energy for radiant yet protected skin. Today, I’ll be reviewing just two of them for your reading pleasure! Multi-active antioxidant face protection serum with Calabrian liquorice and sunflower petal extracts (50 ml) – SPF50 water resistant, it is a true face serum resulting from a new way of looking at sun protection. Using the latest cosmetic research to defend your skin from the damage caused by exposure to the sun, the lotion contains a mix of ingredients to protect skin from UV radiation and maintain the skin’s radiance. 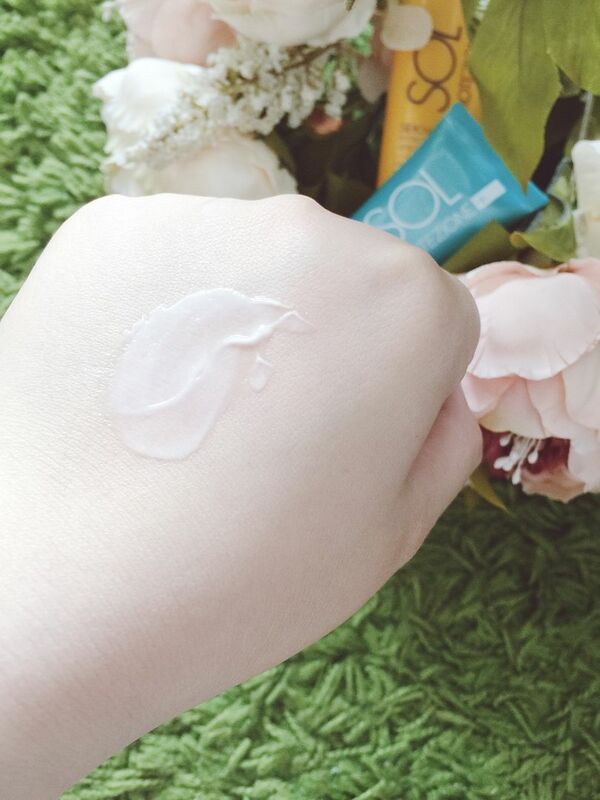 Its formula has a particularly light, easily absorbed and water-resistant texture. My thoughts: A rich sunscreen that has a slightly heavy sunblock smell. Rich but lathers well and gets easily absorbed into the skin. Water resistance, which is perfect for Singapore’s weather as we tend to sweat, no white cast after a day of application. 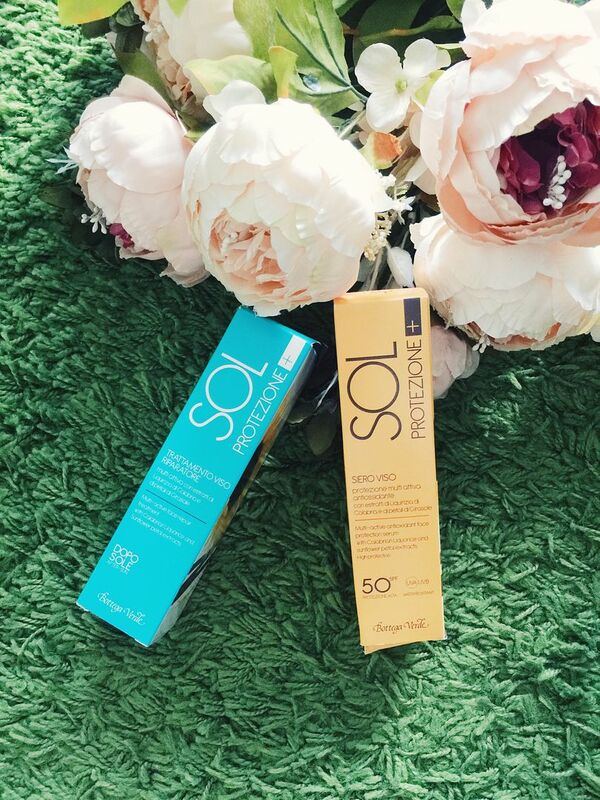 Multi-active after-sun face repair treatment with Calabrian liquorice and sunflower petal extracts (50ml). An innovative after sun treatment developed in partnership with AmbrosiaLab srl – University of Ferrara to protect and repair skin over an extended period, defending it from the damage that occurs after exposure. 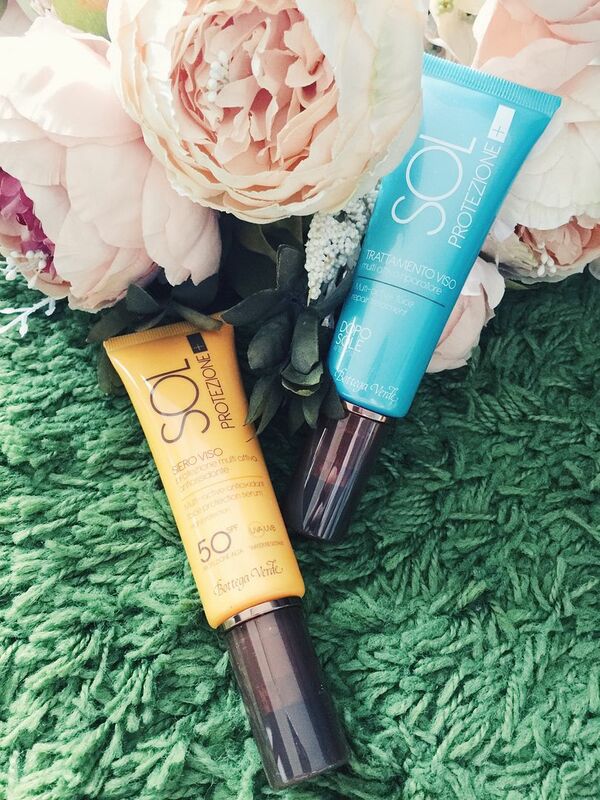 Formulated with a combination of specific active ingredients in optimum doses such as coconut oil, sesame oil and sunflower petal extract, it works to protect, nourish and soothe sun damaged skin. My thoughts: This is something new to my vanity and I didn’t know that UV still attacks our skin after the sun exposure. Light weighted and feels hydrating to the skin when applied. It gets absorbed quickly and give a cooling after that. However, I do not like the smell of the lotion.